In recent years, the customs force has been playing an increasing role in ensuring economic, financial and monetary security. 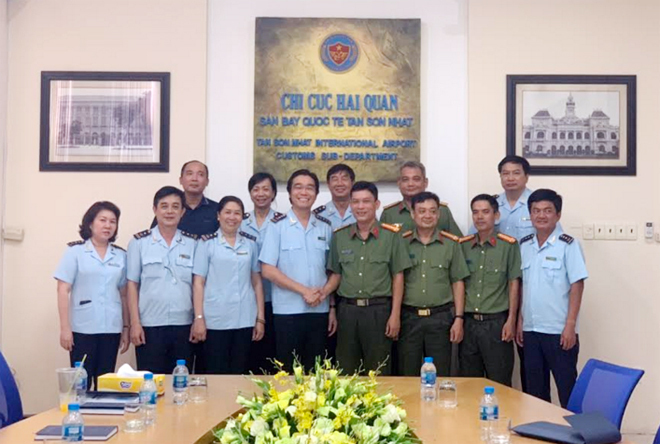 In order to better perform their tasks, the Tan Son Nhat International Airport Customs Sub-department decided to promote coordination with police forces, especially the economic police, which requires a set of regulations guiding the two forces to effective coordination. At the meeting, the two sides agreed on the contents of the draft coordination and information exchange regulations, especially those related to money laundering crimes and transnational crimes. The two sides also agreed to support each other in completing procedures to improve the quality and effectiveness of the task accomplishments.